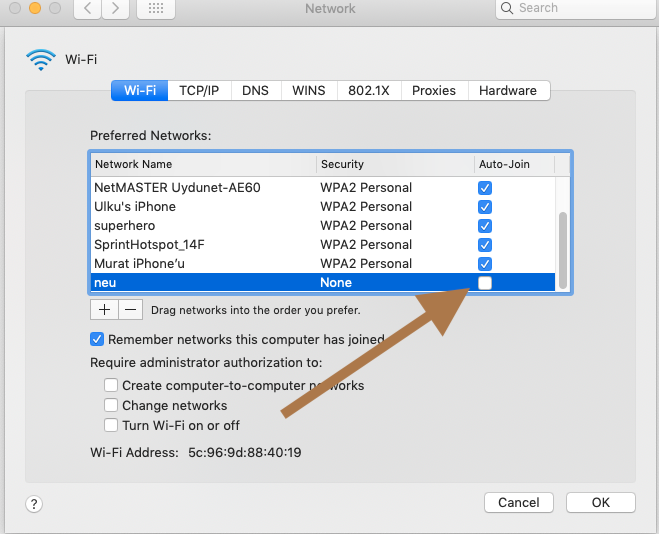 You may not want to auto-join Wi-Fi networks with poor connectivity like the ones in coffee shops, Internet cafes, hotels, shopping centers, libraries, bus terminals, airports etc. 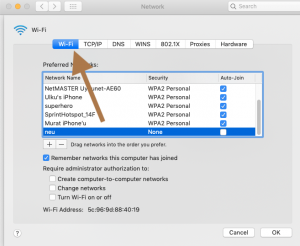 For instance, you go to your local Starbucks or library, you open your Mac and you keep getting hotspot notification pop ups that you do not want to connect to. You close it and a few minutes later it pops up again. 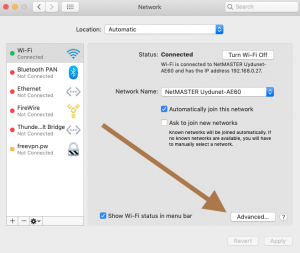 As stated above, auto-join is enabled by default. 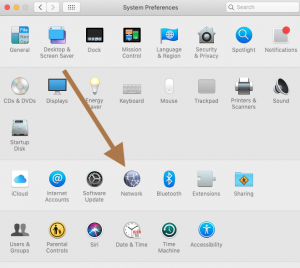 Furthermore, once you disable auto-join for a network, your change will sync over iCloud, assuming your iOS and macOS devices are logged into the same iCloud account. 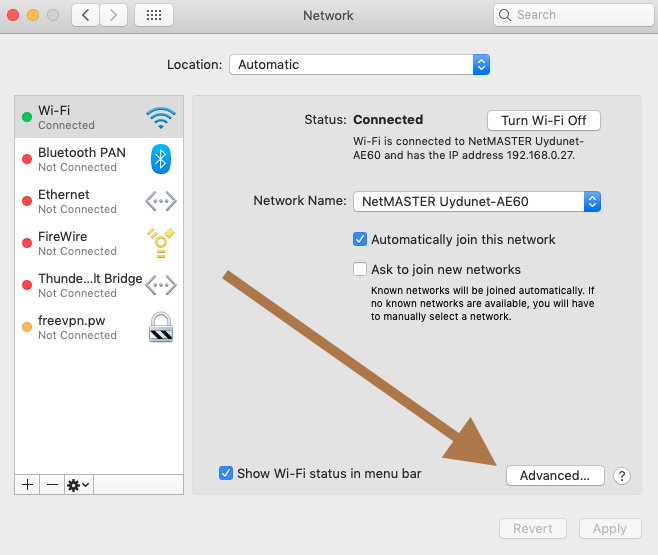 3-Click Advanced, this option lets you set network options such as proxy, DNS etc. 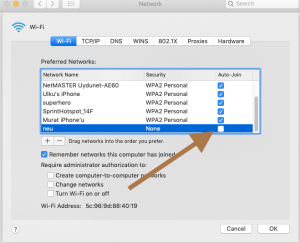 5-Find the network name that you want to disable auto-join for. And then remove the check icon by clicking it. 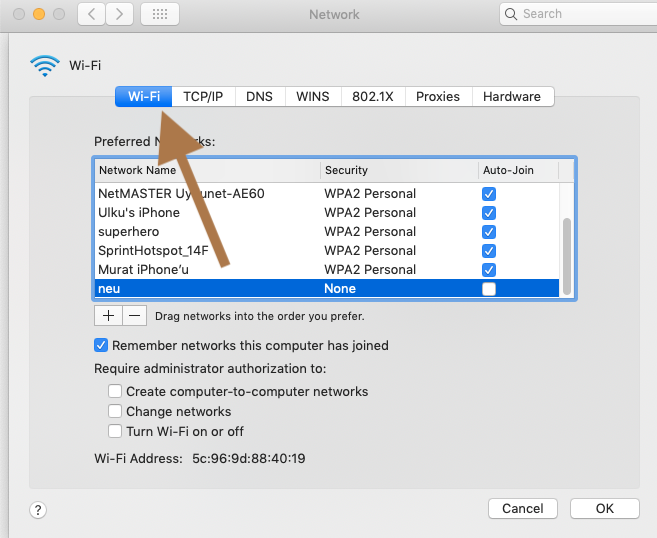 Now the annoying Wi-Fi login pop ups will disappear.